Building a relationship with a young student and showing up every week to provide positive, unconditional support is one of the main ways people can show heart for a school or a community through Reading Partners. A tutor’s presence in a student’s life shows positive implications in a critical aspect of a young student’s development beyond learning to read at their grade level by helping cultivate social emotional learning skills. These skills help students set and achieve goals, show empathy for others, establish positive relationships and make responsible decisions. 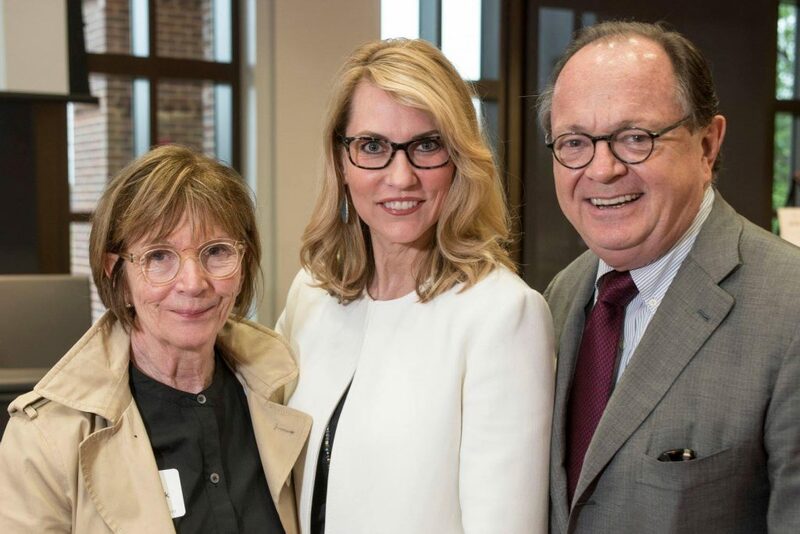 Reading Partners power couple Walter and Laura Elcock have harnessed their shared love of supporting children’s literacy by serving on our national and Texas boards, respectively. The two are a shining example of how couples can collectively work to support a cause they feel passionately about. Walter and Laura started volunteering with Reading Partners in 2012 when the program in Texas was comprised of just two pilot schools with 80 students enrolled in the program. Laura, who still focuses her efforts in the Texas region, has watched it grow tremendously and cites the unwavering constancy and commitment of our volunteers as the force behind Reading Partners’ success. Walter on the other hand, now serves as vice chair on the national board where he brings his experience as a former Bank of America executive to conversations about fundraising, strategic partnerships, and development. While their roles are different, they both stay focused on the same mission: to help children become skilled and confident lifelong readers. Laura says Reading Partners is a deeply ingrained aspect of the Elcocks’ “everyday” life together. A day does not go by when they don’t bounce ideas off each other, review a goal, or celebrate a victory. Their efforts happily come up in dinner conversation, and Laura often overhears Walter’s national board calls. Simply put, Reading Partners is an important part of the love they share. Walter and Laura encourage couples to volunteer with Reading Partners, or any organization that sparks their passion, in communities that need support. A collective interest in giving back propelled by the love a couple shares can truly make a difference. Cheers to Walter and Laura this Valentine’s Day and all of our volunteers who show their love in meaningful ways.